The academy’s Preschool (or Kindergarden) section educates children aged 3 and 4 years. Children will learn through a combination of formal teaching, play/experiential learning and open-ended project work. By the time a child completes Preschool he/she should be confident in spoken English language. The Preschool unit is open, light and spacious, with the most up-to-date equipment and resources – each one selected to develop a child’s independence, self-esteem, and confidence, while fostering learning at a child’s own pace. 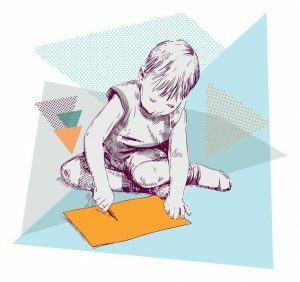 Individualised attention from teachers and teaching assistants means that children with special needs – whether they are gifted or delayed – will maximise progress academically and socially. The Preschool section is mindful of a number of successful programmes for young children with reference made to Montessori, Waldorf/Steiner and Regio Emilia approaches, as well as the UK domestic and international curricula. The journey to success at IGCSE and Advanced level begins in the Preschool section, which provides the foundations for future progression and achievement. Topics for study are built on the interests of the children, determined by discussions with the class and their families, and by areas that fascinate many children, such as climate and dinosaurs. Children participate in in-depth studies of concepts, ideas, and interests. Such projects are often explained to the children as adventures, and can vary in duration from a week or two to the entire school year. The child’s imagination remains central to this work. Teachers present new ideas and concepts in multiple forms, such as print, art, drama, music, puppetry, etc. This variation is considered essential in making sure that all children (who have many different styles of learning) understand what is being taught to them. Groups both large and small are encouraged to work together to solve problems using dialogue, comparisons, negotiations, and other important interpersonal skills. Each child’s voice should be heard within the group to promote the balance between a sense of belonging and a sense of self. Children are encouraged to enjoy books and to borrow early years titles from the academy’s lower school library. The teachers will provide guidance on appropriate titles and help parents to support a love of reading in their child. Research has shown that children who read avidly and with purpose achieve higher academic outcomes than those who do not. At the conclusion of Preschool each child will have a solid academic and social foundation which will support him or her in moving forward to Grade 1. The academy identifies benchmark skills which need to be acquired prior to transfer to Grade 1; these are classified across a range of academic, social and motor aspects. Progress reports are issued regularly to parents so that each child’s progress can be tracked throughout their two years in Preschool. Our over-riding aim is to make each child’s first school experience a positive one, an experience that inspires a lifelong love of learning. Please note that our Preschool building is still under construction. Photographs of this part of the Academy will be added to this section during the first half of 2018.